The night before it all fell through my husband had a dream that skated on the edge between sleep and wakefulness. The kind where you think your dream-life actually happened, only to wake and find it never existed at all. He was holding her, a girl we planned to name Harper, sleeping on his chest. It felt so real; the warmth and weight of a tiny body snuggled up, safe, and peaceful in daddy’s arms. Then the phone rang like a chill shivering up the spine of a silent September morning. It was over. We’d raised money, poured over her pictures, completed an expedited home study, and talked to a myriad of lawyers. We had done anything we could to make the dream a reality. The flight was practically booked to bring our little girl home when we were told it wouldn’t be needed. Something I was sure was ours turned out to only be vapor. Worse, a dream I was sure had been planted in my heart by God suddenly withered for reasons I could not fathom. Why this cruel, quiet reality? Why not this child? Would we ever become parents? The following weeks were a rollercoaster. I was sad. I was angry. I was embarrassed. I thought I looked like a fool for hoping this adoption process would actually come through. I’d been so vocal about the path I thought God had placed us on. Had He failed? Or had I failed to hear? Before we lost her officially, I had begun to lose hope. One day I opened the Bible to a random page, desperate to be reassured that all would be okay. That was it. 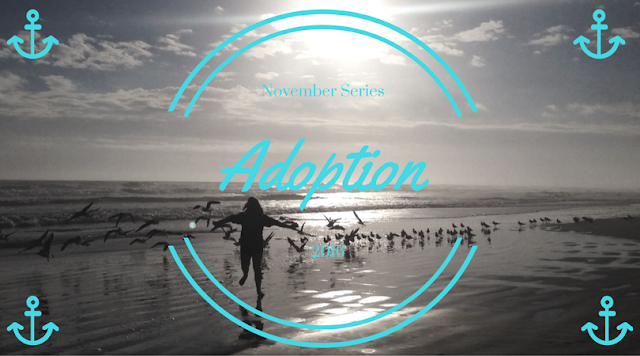 I posted on my personal blog and Facebook about the latest adoption challenge with the hashtags #ifgodisforuswhocanbeagainstus & #adoptionrocks. The truth? I had equated God’s goodness with Him giving me what I want. In my eyes His faithfulness would ensure that the road would be smooth, and this circumstance would turn out in our favor. In reality, the theme of that chunk of scripture assures me that no trial or suffering could separate me from the love of Christ. I had been reading the Bible like it was a crystal ball—all about me and my circumstances and the next step to take. Not as it truly is, a story of God and what he’s done to rescue his people. My quick interpretation of one verse was entirely backwards. God is working for the good of those who love him, according to his own purpose. Which means He would lead us to His purpose and somehow it would be good (8:28). Even when, even though, we weren’t taking home this child. That doesn’t mean it wasn’t difficult. 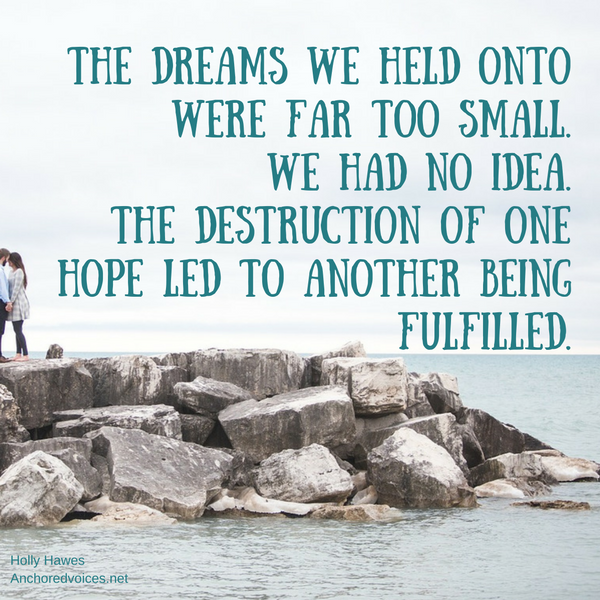 I knew He had been leading us to adoption, and when it fell apart I couldn’t see why the path suddenly became a dead end. A week later, we were told a heart-wrenching story of an older teen girl who desperately needed a place to stay. She had been trafficked and needed to not go back to the area she was from. I casually asked what it would take to become foster parents, since we already had a home study completed. I figured that since we had no other children, and we had been told, because of our young age, that we’d wait for up to three years for one we might be able to help. That situation ended up not being a good fit. We didn’t live in the right place. A week later we received a life changing phone call. Could we be just foster parents? For up to a year? A 12 year old girl, who had been in an adoptive placement needed to move. Today. Everything in her life was falling apart, and we lived in the right town. Three years later, she is our daughter. Rather than being in the potty training stage we are about to start driving lessons. I didn’t see that coming, but I’m so glad it did. We’ve marveled over and over how God put us together. I can see the way He weaved our stories into one. How for her 5 years in foster care God’s people loved her, held her hand, and walked her right to our unlikely doorstep two weeks after we thought our adoption dreams had been decimated. 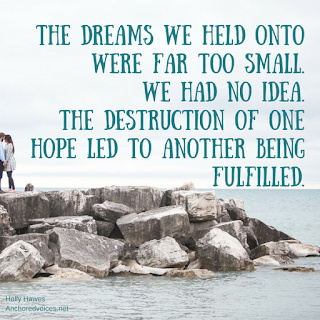 The dreams we held onto were far too small—we had no idea. The destruction of one hope led to another being fulfilled. Our daughter was in need of us on the other side of that suffering and pain. God hadn’t failed; His promise stood true. 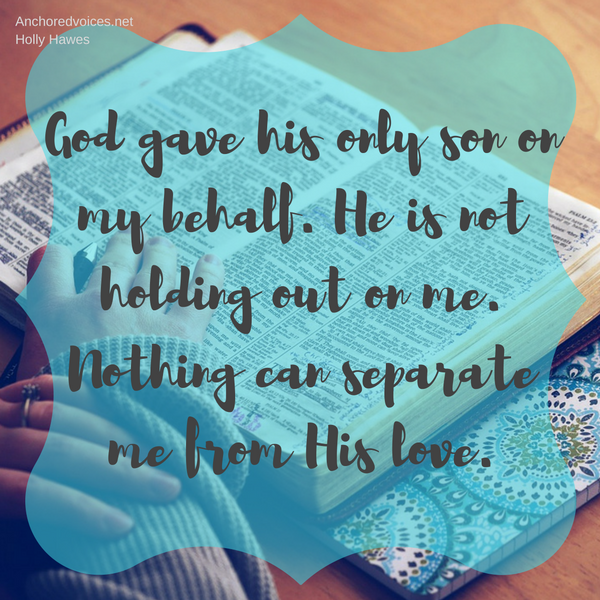 He hadn’t told me that we wouldn’t suffer pain and loss, but reminded me that nothing could separate us from his love because He knew I would need the reminder. Readers, What hope helps you to trust God with your deepest desires? Holly is a wife, mother of one, and foster mother to many. She seeks to glorify God in all she does, for all her life. 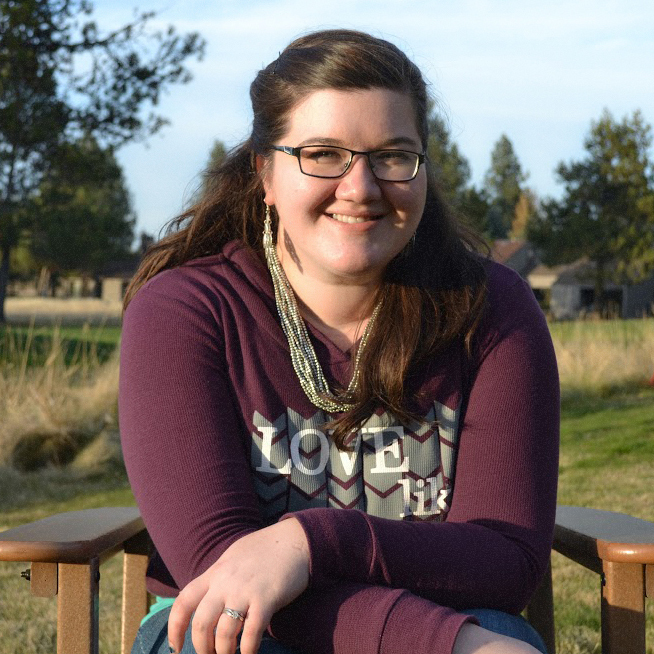 She studied Intercultural Studies at Corban University and loves to build bridges between cultures and people. She welcomes people into her life, into her heart, and into her home with hopes of offering encouragement. 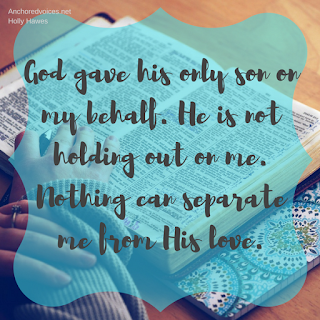 You can find more from Holly here at Anchored Voices or at her blog Called to Restore. I love You! Made me cry again! I hadn't heard this part of the story. Thank you for sharing. I am so proud of you both. <3 Miss you! You are such a gifted writer. Thank you for sharing your story. Miss you. Holly Hawes brings tears to my eyes once again! What a journey you guys have been on these past years. Your steady faith has been an incredible inspiration for Brian and me, we are so thankful to call you guys friends. God is good through it all - even when his "for us" doesn't always mean what we think it will. Bless you guys, we love ya'll SO much.